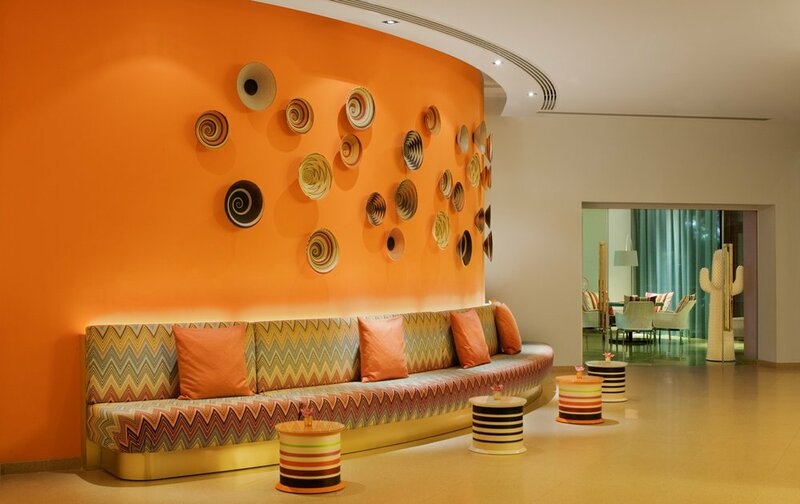 The Hotel Missoni in Kuwait City is the second offering from the brand. 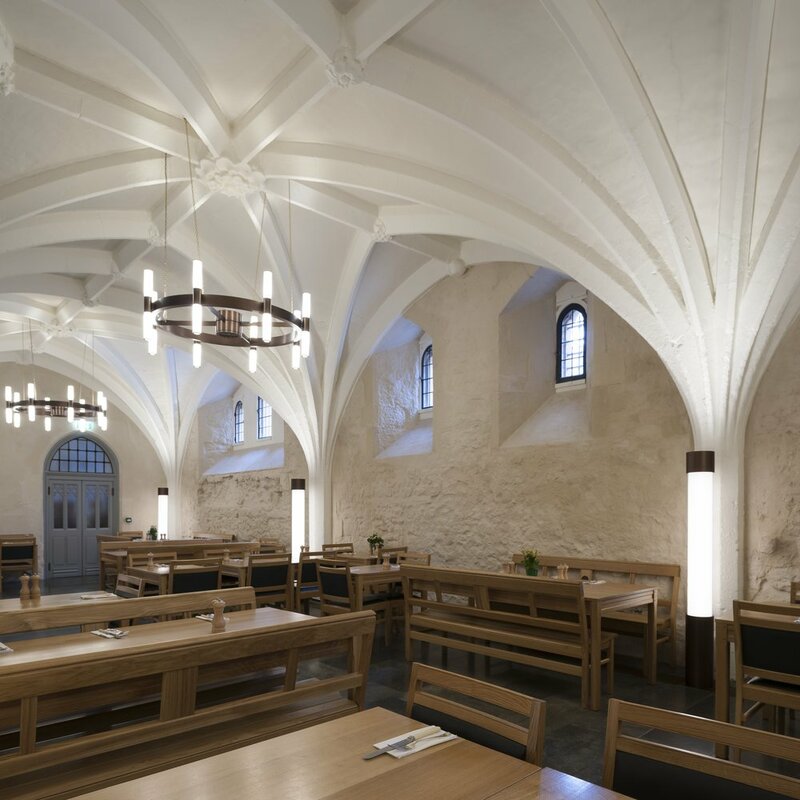 KSLD worked with interior designers Graven Images, who also worked on the first hotel in Edinburgh, to create a series of vibrant public spaces and stylish guestrooms. Decorative lighting elements such as the bespoke Missoni ‘rope’ chandeliers, pendants and floor lamps make bold statements, while the architectural lighting is, where possible, integrated into details to ensure a clean aesthetic. 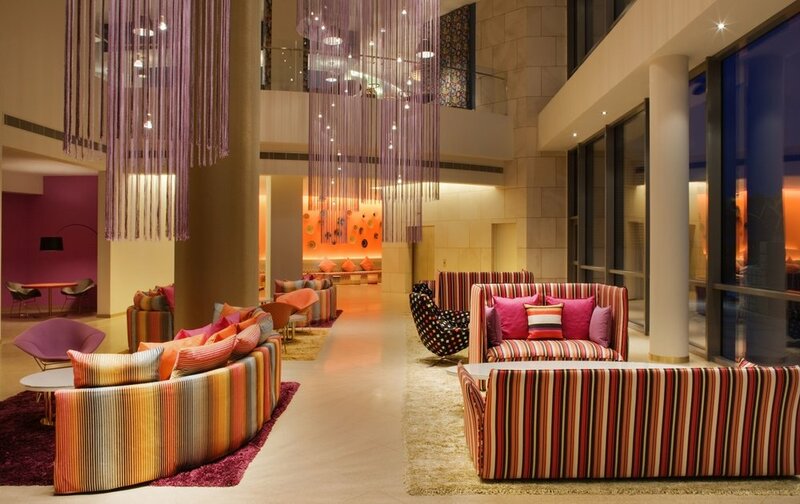 Hotel Missoni in Kuwait City is the second offering from the brand. KSLD worked with interior designers Graven Images, who also worked on the first hotel in Edinburgh, to create a series of vibrant public spaces and stylish guestrooms. 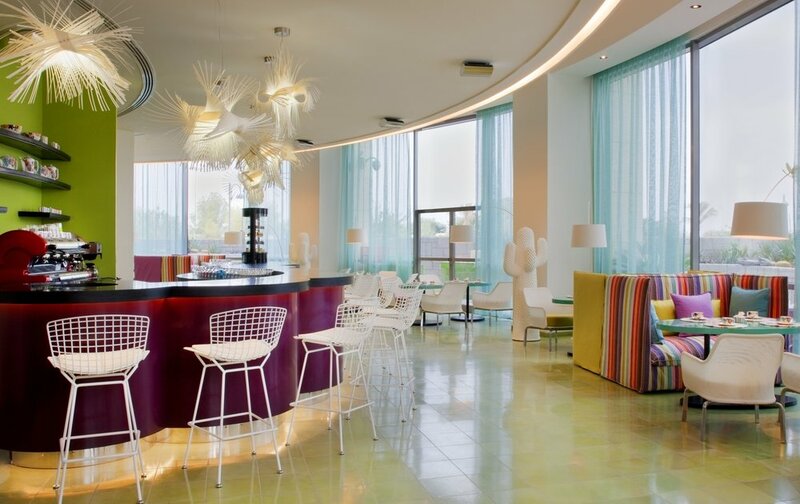 Decorative lighting elements such as the bespoke Missoni ‘rope’ chandeliers, pendants and floor lamps make bold statements, while the architectural lighting is, where possible, integrated into details to ensure a clean aesthetic.